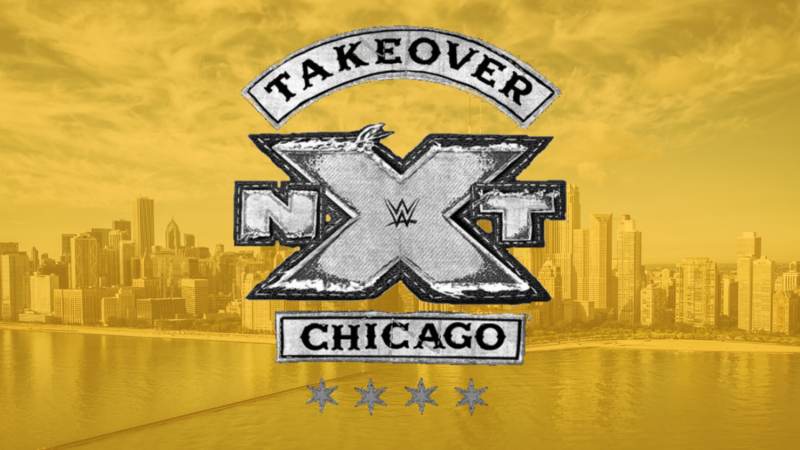 NXT takes over Chicago once again! Johnny Wrestling and the Psycho Killer look to end their grudge where it all began, in a Chicago Street Fight! Who will stand tall at the end of this ruthless rematch? Plus, can the Embodiment of the End make the Leviathan #FadeToBlack? Or will he suffer another Freak Accident? NXT Tag Team Championships: The Undisputed Era’s Roderick Strong & Kyle O’Reilly VS Oney Lorcan & Danny Burch; The Undisputed Era wins and retains the NXT Tag Team Championships. 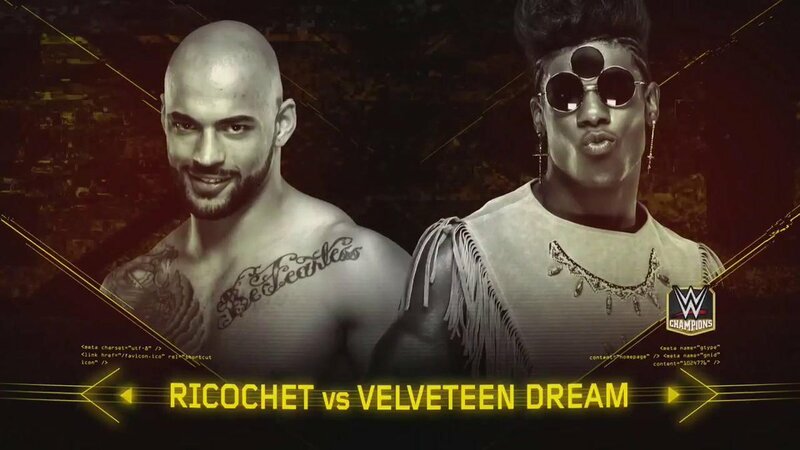 Ricochet VS Velveteen Dream; Ricochet wins. NXT Women’s Championship: Shayna Baszler VS Nikki Cross; Shayna wins and retains the NXT Women’s Championship. NXT Championship: Aleister Black VS Lars Sullivan; Aleister wins and retains the NXT Championship. Chicago Street Fight: Johnny Gargano VS Tommaso Ciampa; Ciampa wins. It’s the NXT TakeOver Kickoff Show! Charly Caruso, Sam Roberts and Pat McAfee are in Chicago to make sure everyone watching knows exactly what to expect tonight. EC3 joins the Kickoff panel. Mr. Top One Percent presents his first bit of #NX3 merch, and says he loves the “Windy Apple.” The NXT Universe is buzzing with the #OneAndOnlyDream match, but what does that do to EC3? EC3 gives the shirt to McAfee to teach Sam a lesson. 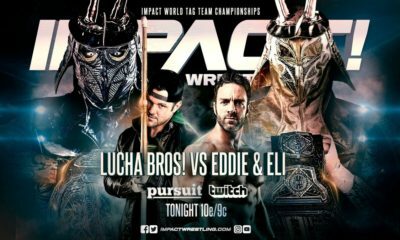 He does admit that the star-studded match could dictate the future, but The Top One Percent dictates fate just by showing up and getting fans to chant. EC3 doesn’t need to be in a match to change things, he just needs to be here. McAfee supports EC3, he has the second best tan in NXT. Who has THE best? Drake the Ref. That’s true. EC3 does special things in the ring, too. EC3 has had victory after victory after victory, “stupid Sam.” The Million Dollar Man with a Billion Dollar Body is ready for the future, when will he get to make his next TakeOver mark? Adam Cole appears to join the Kickoff Show! He’s surprised to see McAfee, seeing as how he’s doing worse being here than being a punter. Cole is not concerned about Lorcan & Burch taking the tag team titles from O’Reilly & Strong. In fact, he’s annoyed those two are even challenging his friends at all. Seems Cole is taking the night off, though. “Taking the night off”? He’s the NXT North American Champion. He’s not the best in NXT, in WWE, but all over the world! Cole does what he wants and when he wants. His boys are opening the main show, so he’s going to go help them prepare. Will the Undisputed Era keep hold of those NXT Tag Team Championships against the one-two combination? “Pain.” Physical or mental suffering. It targets the weak and strong alike. Pain is a weapon. Pain is a motivator. And pain is at the root of all conflict. “But ultimately, pain leaves you with a choice: You can either feel it, or you can inflict it.” Pain takes over the Windy City, but who will overcome it to leave the winners? 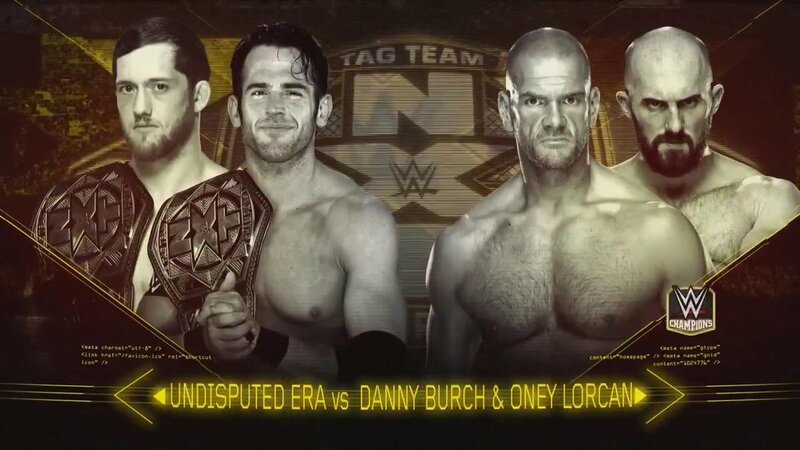 NXT Tag Team Championships: The Undisputed Era’s Roderick Strong & Kyle O’Reilly VS Oney Lorcan & Danny Burch! Roderick Strong betrayed Pete Dunne in New Orleans to #ShockTheSystem and take those titles from the Authors of Pain. But the brawlers from across the waters look to shock them back with their one-two combination. Will the Undisputed Era continue their TakeOver streak? Or will they be knocked out by the underdogs they underestimate? Chicago is thunderous for “Undisputed!” as the bell rings. Strong starts against Lorcan, and they tie up. Strong gets down and around, and toys with Lorcan. Lorcan and Strong tie up again, and Strong gets the headlock. Lorcan powers out and pushes Strong to a corner, but Strong goes up and over. Things speed up, and Lorcan runs Strong over with a back elbow. Burch tags in and takes Strong’s arm. Strong turns things around with a facelock, and backs Burch down to tag in O’Reilly. O’Reilly headbutts and headlocks Burch, then throws him with a takedown. O’Reilly throws hands, but Burch stands up. Burch hits back with body shots, then powers out, but O’Reilly rolls and boots Burch back. They run again, but Burch catches O’Reilly’s leg as he leaps to bring him down. Burch then drags O’Reilly up and around for a European Uppercut. O’Reilly hits back but Burch knocks him down. Tag to Lorcan, and they double whip O’Reilly into double elbows. Strong comes in but they’re ready, and double snap suplex Strong onto O’Reilly! Lorcan & Burch coordinate, and go corner to corner with clotheslines. They go back to back as O’Reilly & Strong stagger, to then clothesline them both out. The one-two is in control while the Undisputed Era regroups with Cole. O’Reilly goes back into the ring with the fans behind them. O’Reilly uses his ground stance but Lorcan wants nothing to do with it. Strong reaches at Lorcan, which is enough of a distraction for O’Reilly to kick away on. O’Reilly backs Lorcan into a corner and throws muay thai knees. Lorcan turns it around and CHOPS. O’Reilly tries but Lorcan dodges to CHOP more. O’Reilly grabs Lorcan in a headlock, Lorcaon powers out, but O’Reilly runs him over with a shoulder. Things speed up, the kitchen sink knee takes out O’Reilly. Burch tags but O’Reilly fights them both. He runs but into double low dropkicks. Strong comes in but Lorcan gets him with an uppercut! Burch runs in for a EuroUpper then lariat and kick! Burch hops up, flies with the missile dropkick, then kips up. Strong staggers but reverses the throw to throw Burch out. O’Reilly kicks but Burch blocks, only for Strong to wreck him with the dropkick! Fans fire up as Strong puts Burch into the LED apron. Strong puts Burch in the ring, tags O’Reilly, then drags Burch up for them to kick and chop in the corner. O’Reilly brings Burch out to give a shoulder breaker, then the back suplex, into the heel hook! Burch works the counter, but Strong tags in to stomp Burch out. Strong rains down rights, then mocks the one-two fingers. He stomps Burch more, then gives Burch the pendulum backbreaker. Cover, TWO, so Strong throws more hands. Strong brings Burch up, then whips him into the corner. Tag to O’Reilly, and they whip him even harder. Strong goes side to side for the forearm, then O’Reilly adds the kick. O’Reilly brings Burch out again, but Burch denies the shoulder breaker to throw hands and chops. O’Reilly trips him up then drives in elbows and knees into those ribs. He throws hands back and forth then tries for the armbar. Burch holds on, reaches around, and gets the ropebreak. O’Reilly lets go, then toys with Burch. He brings Burch up and puts him in a corner. Strong tags in but Burch throws forearms back. Strong dropkicks Burch! Cover, TWO, so Strong wraps Burch up in a seated abdominal stretch. Burch bleeds just a bit from the top of his head but he keeps fighting. He stands and fights, but Strong rocks him with elbows. Strong runs into the corner, but misses! Back drop from Burch, and both men are down. Hot tag to O’Reill, and O’Reilly kicks Lorcan down. O’Reilly ax but Burch the headbutt! Both men are down again, and crawl for their corners. Hot tags to Strong and Lorcan! Lorcan rallies on Strong with those haymakers and chops. Lorcan runs, for the big lariat! He keeps going, for a EuroUpper! Strong gets uot but O’Reilly comes in, to get chop after chop. Lorcan hits Strong, then dropkicks O’Reilly, and then FLIES! He takes them BOTH down, and fans fire up for him. Lorcan puts Strong in the ring, dodges, Half ‘n’ Half to Euro Upper! High stack cover, TWO! O’Reilly returns but Lorcan just chops away on him and Strong. Lorcan is on fire as he hits back elbow after back elbow in the corners. One to O’Reilly, one to Strong, back to O’Reilly, but Strong catches him. Lorcan slips out to shove Strong into O’Reilly, then hits the DOUBLE Blockbuster! Tag to Burch, and they drag Strong up. Hanging DDT! Cover, O’Reilly breaks! Lorcan throws him out, then goes up while Burch lifts Strong onto his shoulders. O’Reilly returns to disrupt that, Lorcan hits the apron! Burch has Strong alone, but Strong turns him around. Boot, enziguri, and tag to O’Reilly to kick and club away. O’Reilly knees, sweeps but Burch headbutts and knees. Burch runs, but into a knee. O’Reilly suplexes, cover, TWO, into the armbar! Burch resists, holding on to his hands tight. O’Reilly fights Burch’s grip, and it comes down to the last finger. Armbar is on! Burch flails, reaches, sits up, and gets the ropebreak! O’Reilly lets go but he goes to tag in Strong. O’Reilly goes back to Burch and brings him up. He whips him to a corner and Strong hits the shining wizard. Bakc suplex slam to shining wizard! Cover, TWO! The Undisputed Era is furious, but they have something more. Strong tags O’Reilly, and Strong brings Burhc up. He runs, but Burhc headbutts! Burch dumps O’Reilly out onto Strong, then tags Lorcan. Lorcan on the apron, another double blockbuster! Lorcan puts O’Reilly in the ring, Burch grabs him and puts him on his shoulders. EuroUpper for the Showtime! Cover, but Cole drags O’Reilly out! The referee saw that, and EJECTS Cole! Cole argues and fumes the entire way while Burch and Lorcan get O’Reilly back in. They bring O’Reilly up but those bad arms. Lorcan takes O’Reilly, lifts, but Strong trips Burch! Strong puts Burch into the announce desk while O’Reilly gets teh guillotine!! Lorcan endures but O’Reilly is wrapped on him. Lorcan gets out with a Northern Lights! Fans are loving this as Lorcan and O’Reilly get up. O’Reilly boots Lorcan, Strong tags in, but runs into EuroUpper after EuroUpper. Lorcan runs, but Strong knees. Lorcan slips out of the suplex to chop block! He lifts Strong, POWERBOMB! High stack, TWO, into Half Crab! Strong crawls, but Lorcan drags him awya. O’Reilly kicks but it doesn’t do anything to Lorcan! So O’Reilly puts Lorcan in the guillotine, but Burch comes in to grab O’Reilly in a crossface! Side-by-side submissions, the champions flail and reach, but O’Reilly rolls aruond to kick Lorcan off the hold! All four men are down but the fans are at a fever pitch. The teams regroup and stand up. And a brawl erupts! O’Reilly takes out Burch, but Lorcan takes him to SLAP SLAP SLAP! Strong knee smashes! Ax and SMASH, to the high-low combo! Cover, Undisputed Era wins! What an opener! Both teams brawled with all they had, but in the end, the minor influence of Adam Cole tips the scales. The Undisputed Era get this one, will they continue their takeover of NXT? Dream takes his time joining Ricochet in the ring. The fans duel as the bell rings. Ricochet and Dream get face to face, questioning the other’s attire. The two back off and circle, feeling it out. They tie up, Ricochet powers Dream to a corner but Dream turns it around. Dream backs off to pose and flex, brother. He and Ricochet circle again, then tie up. Ricochet gets behind but Dream gets a takedown, only for Ricochet to put on a headscissors. Dream works against the hold, then pops out, to throw his bandanna before going for the headlock again. Ricochet puts the headscissors back on, and still holds on. Dream endures the squeeze and wrench, then rolls around to slip out the back. Dream grabs the headlock again, but Ricochet pries his way out into an armlock. Ricochet grinds Dream into a corner, TWO. Dream gets up but Ricochet gets the headlock. Fans duel while Ricochet holds on as Dream tries to power out. Dream rolls Ricochet to a cover, ONE, and they stand up again. Dream grabs Ricochet and gets the headlock. Ricochet fights back, powers out, but Dream runs him over with a shoulder. Dream soaks up the cheers and jeers, then speeds things up. Ricochet lifts but Dream tilt-o-whirl headscissors, but Ricochet handsprings to land on his feet! Dream poses, thinking he threw the King off, but Ricochet runs back in to roll off the back. Ricochet rolls, handsprings, and superhero lands! Fans are all fired up after that. Ricochet and Dream stand up as they stare down. Dream slaps, Ricochet slaps and rolls him up. ONE, and Ricochet gets the waistlock. Dream fights out but Ricochet rolls and handsprings to then headscissor, kip up and dropkick Dream down! Dream flounders to a corner, but Ricochet runs in corner to corner. He ends up on the apron but he hits Dream away. Ricochet then springboards, but Dream trips him up! Ricochet hits the apron then the ground while Dream catches his breath. Dream then comes out to fetch Ricochet, putting him in the ring. Dream puts Ricochet in a corner and throws hands and stomps. The referee backs him off, but Dream just rushes back at Ricochet with more hands and stomps. Dream backs off and tells the referee not to touch him. Ricochet staggers up, but Dream clubs him back down. Dream drags Ricochet back up, to hotshot him on the top rope. Ricochet drops, so Dream goes to the apron, for the knee-board senton, a la Ricochet himself! Dream stalks Ricochet on the mat, then brings him up for the hip-swiveling neckbreaker. Cover, TWO, but Dream keeps his cool. Dream dares Ricochet to get up, but then drops the ax handle. 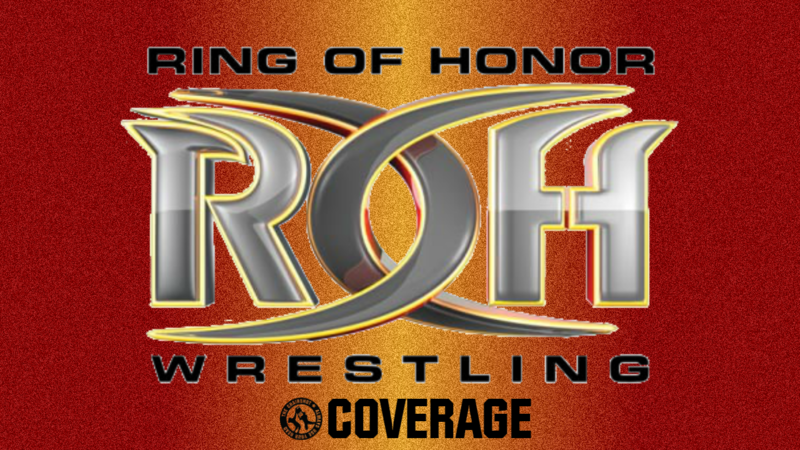 Fans rally, and Ricochet hits back. Dream clubs him more, but Ricochet throws and elbows Dream at the ropes. Ricochet runs, but Dream pushes him out of the ring! Dream builds speed, and FLIES! Dream hits Ricochet with the springboard tope conjilo! He then puts Ricochet in the ring, covers, TWO. Dream drags Ricochet up and puts on a chinlock. Ricochet endures the thrashing and grinding while fans rally up for him. Ricochet stands, but Dream wrangles him back down. Dream puts his weight on Ricochet, but Ricochet feeds off the fan energy. Ricochet stands while fans duel, but Dream rocks him with that forearm. Dream shoves but Ricochet kicks him away. Ricochet back elbows, then boots from a corner. Dream blocks but Ricochet slips out. Ricochet throws Dream out but Dream drags him out. Fans love “Both These Guys!” as Dream grabs a foot. Dream ducks the enziguri, but Ricochet flips to throw him. Dream runs into a corner but into boots, Ricochet rolls to dropkick him out! Ricochet then takes aim, builds speed, and… DIVES! Tope suicida hits, but Ricochet keeps going. Ricochet FLIES! The backflip attack hits, but Ricochet puts Dream in the corner. Ricochet runs corner to corner to EuroUpper and haymaker Dream. He bumps and 619’s Dream out of the corner, then climbs up to springboard back elbow! Cover, TWO! Dream flounders but Ricochet keeps focus. Ricochet gets up, then Dream, and Ricochet whips Dream to ropes. Dream kicks him away, then runs, but Ricochet follows for the neckbreaker and shooting star! Cover, TWO! Both men are down but fans rally up. Ricochet stands first, lifts Dream in the fireman’s, but Dream falls off. Dream asks for mercy, but he throws Ricochet out. Ricochet speeds up to the top rope, but Dream trips him up again. Dream rocks Ricochet with a right, then climbs up to join him. Dream wants but Ricochet denies, and they brawl up there. Down goes Dream, but Ricochet adjusts. Ricochet aims, for the fake out! He rocks Dream back, then sits him down. Ricochet climbs up again, but Dream counters! SUPER ROLLING DEATH VALLEY! Dream crawls to a cover, high stack at that, TWO!! The fans say “This is Awesome!” as both men slowly stir. Dream crawls his way back to the corner, and drags himself back up top. Ricochet sees him, then ducks the counter, to rock Dream with an uppercut. Ricochet drags Dream back up, but it’s Velveteen with the SUPERPLEX to the FLOOR! Fans lose their minds, and the referee checks on them. Both men are okay to continue, so the 10 count begins. It reaches 5 but both men are barely up. Dream gets in at 9, Ricochet at 9.5! The match continues and the fans applaud. Dream and Ricochet crawl towards each other, and then slowly get up together. Ricochet swings but ends up in a second Rolling Death Valley! Cover, TWO!! Dream can’t believe it, but he’s too sore to show frustration. He and Ricochet are slow to getting up, but Ricochet needs the ropes to help. Ricochet and Dream stagger over, and throw wild haymakers and uppercuts. Ricochet first, then Dream, and back again. Dream clubs away, but Ricochet uppercuts. Dream kicks, but so does Ricochet. Fans rally up as Dream EuroUppers, then another. Ricochet answers with his own, but ends up in position. Dream goes for the sidewinder but Ricochet counters into a Northern Lights, roll through to the deadlift. Ricochet’s back won’t let him, so he settles for strikes. SUPERKICK from Dream, but bicycle kick from Ricochet. Ricochet runs but into a back elbow. Dream hops up but misses. Ricochet rocks Dream with the discus! Ricochet keeps going, fireman’s but Dream slips out, SIDEWINDER! Cover, TWO!! But fans are giving a standing ovation! Dream and Ricochet stir, and Dream slaps Ricochet as he says “You belong in a bingo hall!” Fans again say “This is Awesome!” but Dream says HE is the awesome one. Ricochet lifts Dream, and steals the Rolling Death Valley! Ricochet hurries over to a corner, up to the top rope, and poses! Purple Rainmaker! Cover, TWO!! Dream will not die, certainly not to his own move. So Ricochet will go for his move, as he drags Dream over. Ricochet climbs up again, with Dream in the drop zone. Dream slowly rolls away, so Ricochet just goes with… a shooting star! But into knees! Dream covers, TWO!! And Dream is shocked! Dream gets himself up top, he wants to end this. Dream goes Coast2Coast, but misses the elbow as Ricochet rolls! Ricochet climbs back up while Dream writhes. Fans are at a fever pitch, as Ricochet hits the 630!! Cover, Ricochet wins!! The One and Only Winner is the King of Flight! 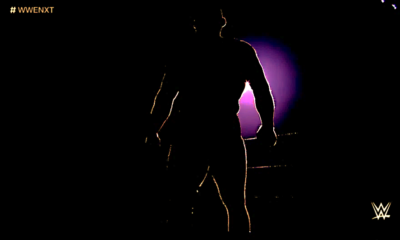 The spotlight was stolen by both men, but it shines brightest on Ricochet. With such a spectacular performance, will this springboard Ricochet all the way to the top? 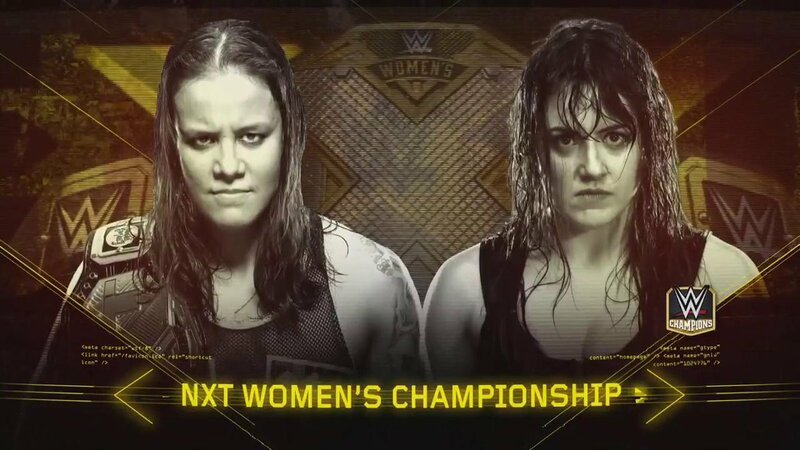 NXT Women’s Championship: Shayna Baszler VS Nikki Cross! The Queen of Spades loves breaking her opponents’ arms, legs and even spirits. However, you can’t break what’s already broken, and the Loony Lass lost her marbles long before meeting Shayna. When fear doesn’t work, will pain be the only thing that cuts through the chaos? The bell rings, and the two stare down. Shayna tries to intimidate with her stance, but Nikki just stares at her. It unsettles Shayna just a bit, but then Nikki ups the ante by again daring Shayna to “do it!” Shayna doesn’t put her sleeper on, but she does shove and trip Nikki. Nikki just kicks and laughs like an excited child. Nikki continues to dare Shayna to “do it”, then she scurries over and spooks Shayna. Shayna is at the ropes, so Nikki backs off. Shayna can’t comprehend why Nikki is leaving herself wide open. She steps closer, but Nikki spins around to laugh. Shayna lunges in out of frustration, but Nikki gets around and hops on! Nikki puts Shayna in a sleeper! Nikki thrashes and growls as she brings Shayna to a knee. Shayna gets back up and throws Nikki off, then drags Nikki up. Nikki powers Shayna buckles, then stomps away. Shayna silps out, but Nikki chases her. Nikki ducks the apron kick to trip Shayna, then tucks her in to wail away! Fans cheer for the Crazy Cross but Shayna retreats. She doesn’t get far before Nikki hops on again! Shayna drops Nikki backwards on the ramp! The referee checks on the challenger, but she’s somehow okay. Shayna gets up and goes back to Nikki. She drags Nikki up and into the ring. She sits Nikki up for a stiff knee shot! Cover, TWO, and Shayna grows frustrated. Shayna grounds and pounds, then brings Nikki up and around to smother her! The referee backs her off, but then she grinds a forearm into Nikki’s face. Shayna smothers Nikki again, but Nikki just smiles through it all. Shayna drags Nikki up for a facelock, then a chinbar. Nikki endures, and fans rally up. Nikki fights out with body shots and big forearms, but Shayna knocks her back with another knee! Shayna sits Nikki up, for a third! Yet Nikki grins! Nikki wants more, so Shayna gives her a fourth. Nikki sits up again, still grinning. She slaps herself, then blocks the fifth knee. Nikki forearms Shayna, then again, but Shayna ducks to go for the Kirafuda. Nikki back suplexes Shayna! Fans fire up while Shayna rolls to ropes. Nikki gets herself up, and then Thezs Press and frantic hands on Shayna. Nikki rallies with lariats and forearms, then stomps a manic mudhole into Shayna. She won’t let up, even as the referee counts. Nikki stops herself at 4, but she’s still going. She climbs up, aims, and leaps for the crossbody! Cover, TWO, and Shayna rolls to the apron. Nikki still slaps herself as she follows. She drags Shayna up, for an inverted DDT to the apron! She rolls Shayna over, covers, TWO! Nikki is a bit surprised, but not upset. She just drags Shayna up, swings, but Shayna slips out to hit another knee. Cover, TWO! Nikki rolls away but Shayna stalks her. Shayna grabs Nikki, sleeper hold, but Nikki rams her into buckles! Nikki hoists Shayna up, hanging swinging neckbreaker! Cover, Ropebreak! Shayna survives thanks to ring awareness. But Nikki just revs up again as she drags Shayna by her hair. Nikki crucifix but Shayna gets the Kirafuda!! Shayna has Nikki stuck in the middle of the ring, with the body scissors added. Nikki reaches, endures, rolls around but she can’t get free. Fans cheer for Nikki, but she’s still stuck in the center. Nikki just smiles as she fades away?! She’s out, Shayna wins!! The Queen of Spades may not have scared Nikki, but she still put her to sleep. Shayna’s Reign of Terror continues, what will it take to end it? NXT Championship: Aleister Black VS Lars Sullivan! The Leviathan earned his shot at the top after barreling through every opponent put in front of him, especially Ricochet and Velveteen Dream. The Embodiment of the End has yet to be pinned or submitted, will Lars that change tonight? Or will Aleister find a way to make this genetic anomaly #FadeToBlack? The bell rings, and the Rocky Mountain Monster stares down with the Dutch Destroyer. They slowly circle, and Lars says that “one shot” won’t be enough. They get face to face, and Lars vows he’s gonna take Aleister out. Lars swings but Aleister hits first. Lars kicks low, lifts but Aleister gets out. Aleister swings his kick, but Lars blocks it, just like on NXT TV! Lars spins Aleister but Aleister roundhouses Lars out. Aleister pursues and forearms on the run. He throws furious hands, but Lars shoves him. Aleister runs back in but Lars alley-oops Aleister onto the apron. Lars swings but Aleister hops over to then hit Meteora! Lars goes down, then flounders his way back into the ring. Aleister pursues and throws hands, but Lars counters with his own clubbing arms. Lars clubs Aleister into a corner, then runs, but into the jumping knee! Cover, ONE, but Aleister keeps Lars down with an armbar. Lars endures the bending, then powers his way back up. Lars pushes Aleister off, but Aleister boots back. But Lars stays up, and uses one hand to shove Aleister to a corner. Aleister evades, then runs back, but is put on the apron. Lars blocks the forearm and twists Aleister’s arm, before hauling him up onto his shoulder! Aleister slips off but Lars runs through the lariat to then run Aleister over. Aleister rolls out of the ring, but Lars pursues. Lars hauls Aleister up, then throws him, but Aleister reverses to put Lars into the post. Aleister gets back on the apron, and climbs up, for the SUPER Moonsault. Lars catches it! To then snake eyes Aleister on the LED, and push him into barriers! Aleister is down, but Lars drags him back up and in. Lars stalks Aleister as he flounders. Lars runs in and squashes him in a corner. Cover, TWO, but Lars is only mildly annoyed. Lars stretches Aleister back, clawing the face then clubbing it with a crossface forearm. Lars roars “Who’s the man! ?” Cover, TWO, but Lars just wraps Aleister in a heavy chinlock. Fans rally for Aleister while he endures the massive squeeze. Aleister turns red, but he refuses to quit. Lars puts his weight on him, but Aleister keeps moving. Aleister gets a second wind, and uses body shots. Lars knees low, then whips Aleister. Pop-up, but Aleister slips out to try and roll him. Lars blocks with strength, then hauls Aleister up, for a powerslam! Cover, TWO! Lars grows a bit frustrated with Aleister, but he still mocks him. “This is your champion?” Lars dares Aleister to stand. Aleister does, and throws a forearm. It doesn’t do much, so Aleister throws another, and another, and another! Lars grabs Aleister’s hair, but Aleister ducks the clothesline. Aleister runs, but into the pop-up powerslam! Cover, TWO! It was close, but Aleister did get out. Lars decides to shift plans, and goes up top. Aleister springs up to rock him with a boot! Aleister climbs up now, but Lars resists. Lars holds on even as Aleister elbows away on his neck. Lars staggers to the apron, but then trips up Aleister, and then club him off the top! Aleister is dazed while Lars climbs up. Lars basically falls into the diving headbutt, but Aleister gets a knee up! It was double-edged given Lars’ weight, as Aleister clutches his leg. Fans fire up while both men slowly get up. Lars is first, and he drags Aleister up. They brawl, Aleister unleashes kicks and elbows. He can’t knock Lars down, but then he sweeps the legs, and sliding knee! Aleister kips up, Lars flounders around, and walks into Aleister’s strike fest. Quebrada! Cover, TWO, but Aleister doesn’t slow down. Aleister walks around Lars, and lifts him up with a foot. Lars grabs that foot, and flips Aleister, before using a chop block on the bad leg. Aleister still boots Lars, but then he kicks with the bad leg and it hurts him more than it does Lars. Lars takes Aleister down, for the Stretch Muffler lift! Lars tortures that leg and bends Aleister all sorts of ways. Fans rally again as Aleister endures. Aleister gets out to a cover, TWO! Lars kicks low, grabs Aleister, but Aleister turns the slam into a DDT! Both men are down, but Lars gets himself to the apron. Aleister sits up, then walks over, but into a choke. Aleister back elbows but Lars clobbers! Lars drags Aleister onto the apron, but Aleister hits back with a stiff boot. Then another, and another, only to run into an apron powerslam!! Lars puts Aleister in the ring, then climbs up top. FALLING HEADBUTT! Cover, TWO!? Lars cannot comprehend this. He stands up again, and waits for Aleister. Aleister wobbles, but jumps over the chop block to double stomp! BLACK MASS!! Cover, TWO!? Was that only a grazing hit? Or is Lars really that tough? Fans rally Aleister up, but Lars follows. Aleister tries but Lars blocks Black Mass again, to then wallop Aleister with a lariat. Then, FREAK- No, Aleister shoves out to hit Lars’ jaw with the knee. Then another BLACK MASS! Aleister got all of that one, but he won’t cover because Lars is still conscious. Larts bleeds from the mouth but he starts to sit up. So Aleister gives him a THIRD Black Mass! Cover, Aleister wins!! The Embodiment of the End had to do more to The Leviathan than to anyone he’s ever faced in NXT. Lars may not be human, but Aleister shows he himself is superhuman. If not even Lars can conquer Aleister, who can? Chicago Street Fight: Johnny Gargano VS Tommaso Ciampa! It was over one year ago that one of the greatest tag teams in NXT, DIY, lost more than just tag team titles. The Psycho Killer, in a moment of paranoia and anger, betrayed Johnny Wrestling to break up their team, end their friendship, and ruin Gargano’s life. This grudge has escalated ever since, and Gargano won the Unsanctioned Match in New Orleans. 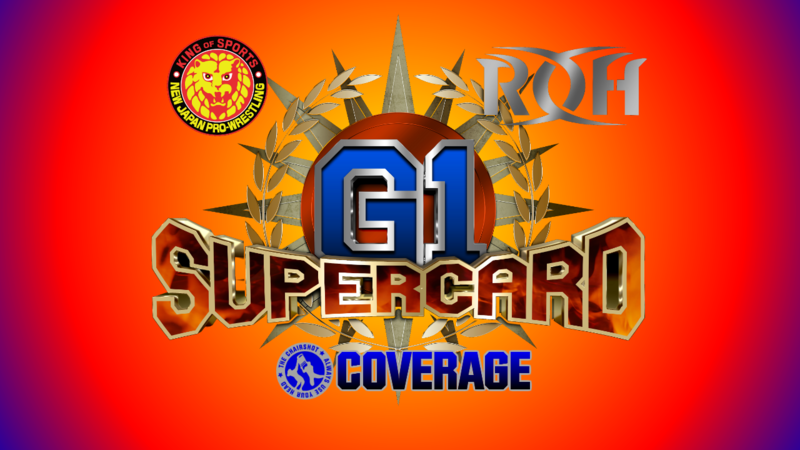 With another match that throws caution to the wind, who will walk out of the Windy City with a win? But the Psycho Killer is just as prepared, because he has his own crutch. Both gladiators are prepared, and this match begins! Ciampa rushes the ring and the start swinging! Gargano blocks, the crutches are tossed, and Gargano tackles Ciampa to throw hands. Ciampa gets away, but Gargano clotheslines him out. Gargano is on the apron and mule kicks Ciampa away. Gargano then leaps, cannonball to the floor! Fans fire up as he drags Ciampa up and puts him across the announce desk! Ciampa takes out Nigel! Gargano pays no mind to the casualties, as he stalks Ciampa to the timekeeper’s area. Ciampa gets into the stands but Gargano hits him more. They fight right up to a fan who has a sign for Gargano. Ciampa stomps and kicks Gargano, then takes that sign! Ciampa tries to rip the sign, but realizes the sign has a board in it. Gargano kicks Ciampa, takes that sign, and as the sign hoped, Gargano uses it to SMACK Ciampa! The board, was a STOP SIGN! Which Gargano uses to SMACK Ciampa more. Smack and smack and smack, Gargano shows no mercy. He doesn’t have to, it’s a Street Fight. Gargano high-fives the fans, then stalks Ciampa. Ciampa goes down, but Gargano goes up. Gargano takes aim, and LEAPS onto Ciampa! They crash and burn, but Gargano gets up first. Gargano stalks Ciampa while the fans lose their minds. Gargano rains downs rights while fans chant “Johnny Wrestling!” Things return to ringside, and Ciampa flounders back towards the ring. Gargano follows him over, but decides to get supplies from under the ring. First, a trash can, then its lid, and even a standard chair. Gargano has an arsenal to choose from, and he swings the lid. Ciampa ducks, and German Suplexes Gargano! Ciampa puts Gargano’s face on the chair, but misses the stomp. Gargano throws haymakers while fans duel. Gargano clubs and clubs Ciampa, but Ciampa reverses into another German Suplex. Ciampa holds on, then drags Gargano up again, for another German! Ciampa still holds on, doing his own version of #SuplexCity. Gargano reaches for ropes, but gets thrown with another German Supelx. Ciampa grins as he keeps his grip, but Gargano reaches around again. Gargano standing switch, and he throws Ciampa with a German Suplex! Ciampa rolls out but Gargano runs to DIVE onto Ciampa! Direct hit and Ciampa rolls to the ramp. Gargano brings him back over, then whips him into steel steps. Gargano goes back for supplies, but Ciampa hits Gargano with the braced knee! Ciampa drags Gargano up and throws him into barriers. Ciampa moves the steel steps over, because he’s planning something truly sinister. He kicks Gargano while he’s down, but ignores the fans booing and jeering. Ciampa checks under the ring, and finds a second garbage can. He also brings out another chair and another lid. Ciampa goes with the chair, and jabs it into Gargano’s ribs. Gargano crawls, but Ciampa puts that chair around Gargano’s neck. Ciampa throws haymaker after haymaker, then brings Gargano up, to throw him at the steel steps! Chair hits steps, and jams into Gargano’s throat! Gargano whips and slaps Ciampa over and over, then makes it a leather fist to punch Ciampa down. Gargano grabs a trash can and puts it on Ciampa, to then DIY SUPERKICK it! Ciampa is dazed but Gargano isn’t done with that trash can. Gargano wedges the can into a corner, then drags Ciampa up. He scoops Ciampa, but Ciampa slips out and rakes the eyes! Ciampa lifts Gargano, Project Ciampa bomb! Then with the trash can lid added, he gives Gargano shotgun knees! Cover, TWO!! Ciampa is furious, but he just wants Gargano to get up again. Another trash can lid knee sends Gargano out to the apron! Ciampa follows Gargano out there, and returns to those steel steps. Ciampa lifts Gargano but Gargano resists. Gargano elbows Ciampa’s neck and head again and again and again, but Ciampa still lifts him! AIR RAID ON THE STEPS!! Ciampa puts Gargano in the ring, covers, TWO!? Gargano has proven he has an insane amount of guts, but this is even crazier than that. Ciampa decides to bring out something more, and finds a pair of clippers? He clips the strings on the ring cover? What is he planning now? Ciampa unties more string, and pulls away the canvas, then the padding, to reveal the wood! He SMACKS Gargano with a chair for good measure, then waves good-bye. Ciampa finishes exposing a corner of the ring, then drags Gargano over. He hoists Gargano up, and fans are starting to grow concerned for both men. Ciampa bits Gargano’s ear, then climbs up top. Ciampa prepares the lift, but Gargano flails! Gargano sunsets through, and Ciampa holds on for dear life. Ciampa punches, misses, Gargano tucks him in for a SUPERKICK! Gargano crawls, skipping the crutches to instead brawl with Ciampa. They go back and forth, fans strongly on Gargano’s side. Both men stand, and the brawl continues. Both men stagger, but neither backs down. Gargano gets the edge, then spins, but into a boot! Ciampa spins, but into an enziguri! Gargano grabs a lid but Ciampa hits a knee strike. Ciampa grabs a crutch but Gargano hits a SUPERKICK! They both swing, they both connect! Ciampa falls, Gargano falls on him for a cover, TWO!! Fans declare “This is Awesome!” while Ciampa crawls his way out to the steel steps. Gargano aims, slingshots, but Ciampa SMACKS him with the trash can lid! Ciampa staggers away while the referee checks on Gargano. Gargano is okay to continue, so Ciampa runs in, but the knee goes into steps as Gargano evades! Ciampa clutches his bad leg, and undoes the brace. Then he tightens it, remembering New Orleans. But too late, Gargano is upon Ciampa and punches away at the knee! Gargano takes a chair and SMACKS the leg!! And jabs it, and jabs it, and jabs it and jabs it and jabs it! Fans fire up with Gargano as he drags Ciampa’s back leg around. Ciampa shoves Gargano into the corner can! Then puts Gargano in the GargaNO Escape! Fans boo as Ciampa steals Gargano’s hold. But Gargano reaches around, and gets a crutch! Ciampa bails out when he sees that, and shifts to a STF, wanting to use the broken crutch the way Gargano used the brace at New Orleans. Ciampa clobbers away on Gargano to get him to stop resisting. Gargano is limp, and Ciampa finishes strapping his brace. Fans duel as Gargano props himself up on the crutch. Ciampa knees him down! Ciampa takes the broken crutch, takes aim with it, and RAMS it into Gargano’s neck from behind! Cover, TWO!??! Ciampa is furious, he doesn’t get how Gargano survives. He throws Gargano out and Gargano slumps to the ground. Fans chant “We Want Tables!” Ciampa watches Gargano crawl, but he won’t let Gargano get away. He drags Gargano up, and walks his old friend up the ramp. “We were like brothers!” They were family! Ciampa says Gargano did this to himself. Ciampa recreates their moment last year, saying Gargano has to say “bye bye” to Candice, his family, and his career! Then Ciampa throws Gargano into the LED stage wall, a la TakeOver: Chicago 1! Gargano is dazed and rolling, but Ciampa adds another braced knee strike! But Ciampa says “It’s not enough!” This rage, this anger, this hate, it’s far deeper than anyone could have imagined. And just as fans wanted, Ciampa spots tables, and brings Gargano over. Ciampa drags Gargano up with him on top of the stack of trunks. Ciampa stands up, and takes Gargano’s wedding ring from him! To spit on it, and throw it away! Ciampa drags Gargano up, but Gargano lifts Ciampa, for a SUPER AIR RAID THROUGH THE TABLES!!! It is utter carnage in Chicago, and Chicago loses its mind! The referee says this is enough, and he calls for medical attention. The medics respond, and check on both men amid the wreckage. Gargano somehow gets back up onto the trunks, and looks down at his fallen foe. Ciampa needs a neck brace now, like a flip-side to Ciampa’s brutal attack on Gargano a month ago, as well as last year. Medics carefully put Ciampa on a back board, but fans want Gargano to “Do it! 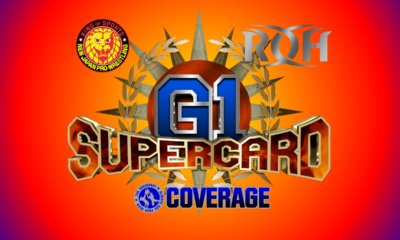 Do it!” Ciampa is put on a stretcher, still groaning and screaming with pain. Gargano sees his ring is missing, and fans want him to “Jump! Jump!” Ciampa is being wheeled out, but Gargano won’t let him get off that easy. Gargano rushes over, Chicago cheering him on, and he shoves the medics out of the way! Ciampa begs for mercy as Gargano wheels him back to ringside. Gargano takes off the straps, beats on Ciampa, then puts him into the ring. More security come out to pull Gargano away from Ciampa, but Gargano is not satisfied. He breaks through, then fights the security off again. Gargano runs around the outside, and they end up near the bare wood. Ciampa gets Gargano with a draping DDT on the wood!! Cover, Ciampa wins!! This match was over five times before, but only now does it end. Ciampa endured torture, but it’s everyone else that feels the agony of defeat. However, given how much it took out of both men, will this prove to be a double-edge victory? Candice LeRae comes out to check on her husband, but as always, Ciampa waves good-bye. The series may be tied, but is this the end of the war between Ciampa and Gargano? NXT is truly the best of the best of what WWE does. The kickoff was fun with EC3 and Adam Cole being great in character for their appearances. Great to see Keith Lee in attendance, that means he’s ready to debut at any moment. The matches started hot and just kept going to perfectly climax at the very end. Lorcan & Burch may not have won, but it was an amazing feat for them to turn the crowd into their favor before the end. They also get a great ovation even after the match for the effort they put in. I don’t know about Raw or SmackDown, but those two would be amazing additions to the 205 Live roster as a tag team to really energize that budding tag division. Ricochet VS Dream was even better, which seemed impossible at the start but was undeniable by the end. Dream is cheeky coming out in a fusion of Hulk Hogan and Prince Puma, aka Ricochet’s persona from Lucha Underground. Ricochet goes over, because it just makes sense. As I expected, Shayna goes over, but it was genius to have Nikki lose because she passes out, not because she taps out. Shayna won the match but Nikki won the mind games, expect Nikki & SAnitY to finally be on SmackDown. Aleister VS Lars, that was also incredible, like NXT’s version of Batman VS Bane or something. Aleister wins this on sheer grit and determination, but also because I expect EC3 to be gunning for him next. That Chicago Street Fight, was probably the best Street Fight of all Street Fights, WWE or anywhere. It made sure to reference all the story going into this, had a nice surprise in that stop sign inside the sign, scared me for Nigel’s sake, and then for both Gargano’s and Ciampa’s sake. This has gone from personal grudge to archenemy territory and beyond. Ciampa continues to be best heel as he wins more by luck than anything. The fans just hated him, aside from the contrarians. 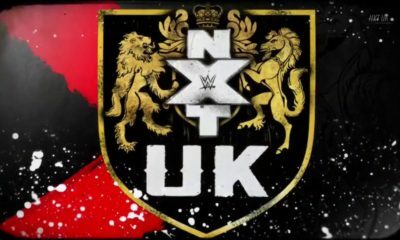 But since their overall series is 1-1, this has to continue one more time in NXT, or even bleed onto the main roster, this rivalry is that great.